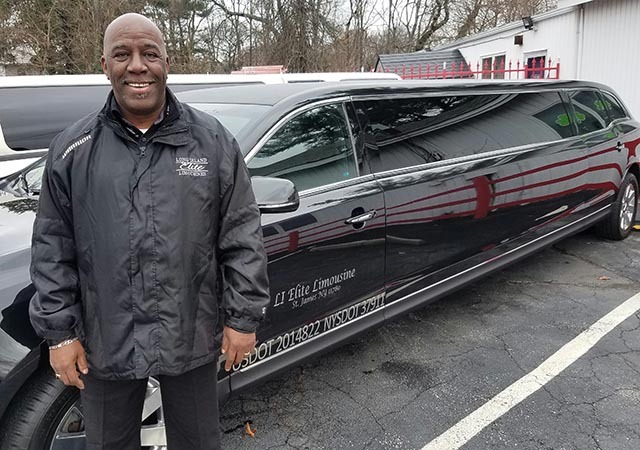 When Charlie Brown founded Long Island Elite Limousines , he saw the need for a reputable, trustworthy limousine provider on long island. Starting with one car (a used 6 passenger town car) he slowly began to build his reputation as a trustworthy, reliable and upstanding luxury limousine operator in the area. To this day, Charlie and his company, Long Island Elite Limousines has grown to become one of the Tri-State Area’s most highly regarded Limousine Operators. At Long Island Elite Limousines, we strive for perfection in everything we do. EVERY Long Island Elite Limousine will exceed industry safety standards. EVERY Long Island Elite Limousine will arrive exactly as they are kept, in SHOWROOM CONDITION. At Long Island Elite Limousines we believe our power is in our people. As with any Limousine provider/car service, our job starts with providing an exceptional Chauffeur.Each applicant is screened and must pass pre-employment background checks through the Department of Motor Vehicle. In addition, ALL of our Chauffeurs must pass full criminal background checks and random drug screenings.He or she will arrive with a smile, in situation appropriate attire and ready to take you on your way!